James F. Bennett has a national practice of cases that are not expected to settle before trial or appeal. He is lead trial and appellate counsel in high-profile cases. In recent years he has tried to verdict eight cases involving $20,000,000 or more including three that involved $100,000,000 or more in dispute. He has also prevailed before trial in other, similar cases and has argued appeals in eight different appellate courts around the country. Three times in recent years, he was awarded the “largest” defense or plaintiff verdict award by Missouri Lawyers Weekly. Mr. Bennett is a former law clerk to the Hon. Anthony M. Kennedy, Associate Justice of the United States Supreme Court, and to the Hon. J. L. Edmondson, United States Circuit Judge for the Eleventh Circuit. 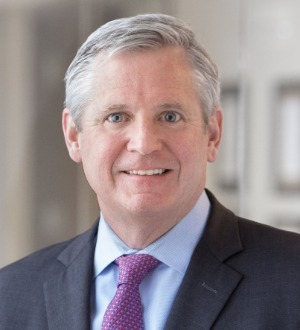 He is on the Executive Committee of the American Inns of Court Chapter in St. Louis and is a fellow with the American College of Trial Lawyers and the Litigation Counsel of America. Mr. Bennett has acted as an adjunct professor on the subject of complex litigation at Washington University Law School. He has been recognized by various publications for his achievements. For instance, he has been selected by Missouri Lawyers Weekly as one of ten “Lawyers of the Year,” and the “Law Firm Leader of the Year.” He has been selected by the Riverfront Times as the Best Lawyer in St. Louis. He is annually identified as among the top 50 lawyers in St. Louis, the top 100 lawyers in Missouri, and among The Best Lawyers in America©. Currently, he is ranked as a “Tier One” counsel by U.S. News and World Report. Mr. Bennett is recognized in Chambers USA as a “Band 1” leading litigator in St. Louis and its surrounding areas. Westminster College - Fulton, B.A.